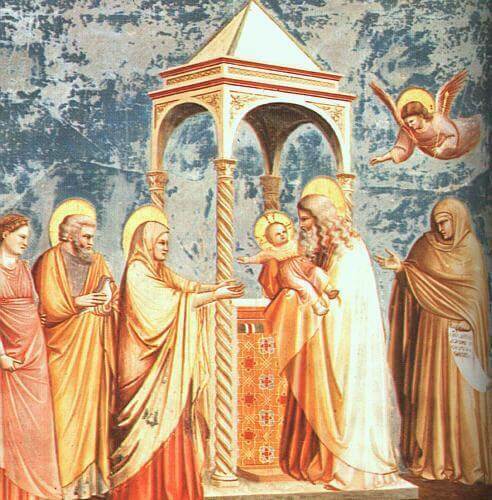 We celebrate, today, the glorious event of Jesus being presented in the Temple by Mary and Joseph. Simeon, a “righteous and devout” man, had been waiting for this moment throughout his life. The passage above is what he spoke when the moment finally arrived. Simeon, like any other ordinary human being, would have had many experiences in life. He would have had many ambitions and goals. Many things he worked hard for. So for him to say that he was now ready to “go in peace” simply means that the purpose of his life was fulfilled and that all he has worked for and striven for has come to culmination in this moment. That’s saying a lot! But it’s really a great witness for us in our daily lives and gives us an example of what we should strive for. We see in this experience of Simeon that life must be about encountering Christ and fulfilling our purpose in accord with God’s plan. For Simeon, that purpose, revealed to him through the gift of his faith, was to receive the Christ Child in the temple at His presentation and to then consecrate this Child to the Father in accordance with the law. What is your mission and purpose in life? It will not be the same as Simeon but it will have similarities. God has a perfect plan for you that He will reveal to you in faith. This calling and purpose will ultimately be about you receiving Christ in the temple of your heart and then praising and worshiping Him for all to see. It will take on a unique form in accord with the will of God for your life. But it will be as significant and important as Simeon’s calling, and will be integral to the entire divine plan of salvation for the world. Reflect, today, upon your own calling and mission in life. Don’t miss your call. Don’t miss your mission. Continue to listen, anticipate, and act in faith as that plan unfolds so that you, too, may one day rejoice and “go in peace” confident that this calling has been fulfilled. Lord, I am Your servant. I seek Your will. Help me to respond to You in faith and openness and help me to say “Yes” to You so that my life will achieve the purpose for which I was made. I thank You for the witness of Simeon and pray that I, too, will one day rejoice that my life has been fulfilled. Jesus, I trust in You.